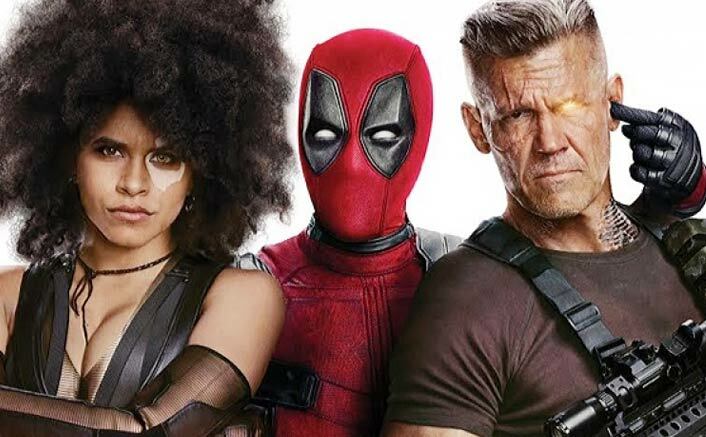 When Wade Wilson (Ryan Reynolds) returns with Deadpool 2 to break the fourth wall (and rub his theatrics all over the place) in the coming months, the “merc with a mouth” will have to deal with Cable (Josh Brolin) whether he likes it or not. The audience would perhaps be surprised to know that both of the characters have a pretty lengthy history in the comic books. Hence, it is not surprising to see Cable being featured in the much-awaited sequel. They are, in fact, from the same universe–to some degree because Cable is a time-travelling mutant and has spent most of his life in an alternate dystopian war-battered future. Cable, half-man and half-machine, may not appear too threatening to some moviegoers but that is because they are unaware of his origins and actions from the source materials. He is a mercenary by trade and pretty ruthless when it comes to fixing the future by altering the past. Here are some of the most notable facts that you should know about the character before watching the movie, keeping in mind that there are probably a dozen more where they come from. Deadpool 2, directed by David Leitch, will open in theaters on May 18, 2018. The real name of Cable is Nathan Summers in the comic books. The surname will definitely ring a bell because his father is Scott Summers, also known as Cyclops from the X-Men. The parentage, however, becomes a bit tricky when it comes to the mother. Madelyne Pryor is basically a clone of Jean Grey that was created by Mister Sinister. The series of events have further convoluted over the years, with some suggesting Cyclops and Jean as the parents. There is no word on how the cinematic universe will address this complicated timeline from the source materials but it is with certainty that Cable has the blood of two profound members from the X-Men running through his techno-organic veins. Madelyne Pryor was just the start of an elaborate plan to defeat one of the most powerful supervillains in the history of comic books. Mister Sinister strongly believed that the child of Cyclops and Jean could be used as a weapon against Apocalypse. Since Jean was too weak at the time, he made a clone of her to help birth the chosen one. However, Apocalypse came to know about the plans for his supposed destruction. He eventually captured Cable from his crib and infected him with a deadly techno-organic virus that transforms living tissue into machine. The notion was to either kill him because there was no cure available, or control him once he fully becomes a living machine. With the child close to death, it was decided by the parents that he would be sent into the far future where he could be cured and saved. Cable did manage to stop the infection from spreading, thanks to the futuristic science and technology from the era, but it was not before half of his body had already been consumed. In the comic books, Cable continued to fight Apocalypse in a dystopian bleak future set two thousands years ahead without even realizing that he was literally birthed for the very reason. He even travelled back into the past several times to somehow change the future and stop Apocalypse from coming into power. Due to his mutant parents, Cable has received mutant powers of his own. He possess vast psychic abilities that manifest in the forms of telepathy and telekinesis. He can read multiple minds across great distances, project mental bolts of energy to incapacitate human beings, and even traverse through the Astral planes — very similar to Professor X. In addition, he can levitate great weights and create protective force fields in an instant. Cable also possess superhuman physical endurance and it can be several hours before fatigue finally starts to creep in. He can forego sleep for days and still perform on the battlefield at peak. However, he must sleep eventually to rejuvenate his machine tissue. On the subject of his techno-organic virus, Cable can use his living cybernetics to hack into or disassemble all manner of complex devices. His infected body is heavily fortified and can take immense punishment with ease. He also possess a cybernetic eye that allows him to see better, and a left arm that can take on different forms. Cable boasts great intellect as well and is a highly accomplished warrior. He is adept in the use of a variety of weapons (both from the past and future) and in many forms of combat. Interestingly, the war-ridden dystopian future did not hold him back from attaining a diploma in law. While Cable did manage to save himself in the far future by putting a stop to the techno-organic virus from taking over his body, the victory was for only a battle and not the war. The disease reappeared further down the years and continues to try turning all of his biological matter into cold machinery to this very day. The only thing preventing the virus from achieving its objective is Cable himself. The mutant largely uses his immense telekinetic abilities to suppress the infection from spreading any further. However, this demonstration of sheer will has extinguished at some points in the comic books. Cable has effectively neutralized the techno-organic virus, has been completely consumed by it, and has been partially healed a few times over the years. Whatever cure he finds, the virus ends up returning in one form or another. This has also taken a toll on his mutant abilities. Both Cable and Deadpool have tried to kill each other, as well as worked together for similar goals, over the long years in the comic books. The “merc with a mouth” was originally contracted to take out Cable and the two would consistently cross paths at random turns. The situation, however, took a rather bizarre turn when they ended up mixing their DNA (Deoxyribonucleic Acid) with each other. After this, neither of them could use a teleportation device without bringing the other along. 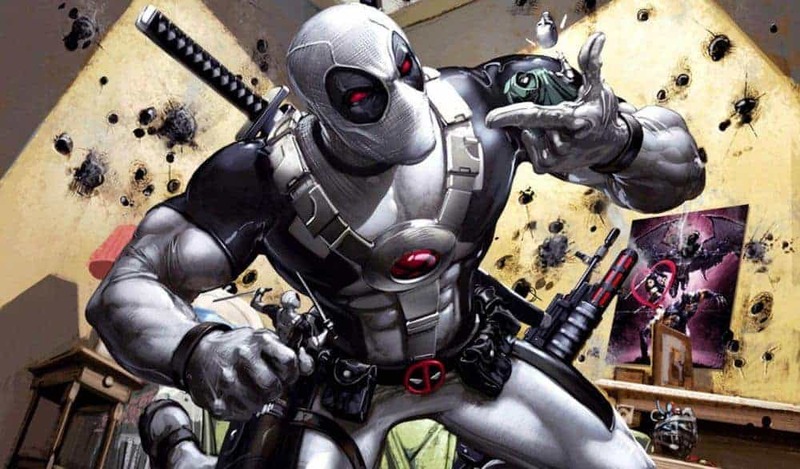 The duo even received a shared comic book series later on, with the absolute seriousness of Cable combining with the absolute silliness of Deadpool. They have been more or less on friendly terms in recent times, which may not start out on a happy note in the upcoming live-action movie sequel. Cable has never particularly cared for the Avengers but when he learned that they were planning to kill his adoptive daughter Hope Summers, he suited up to get rid of each one of them. 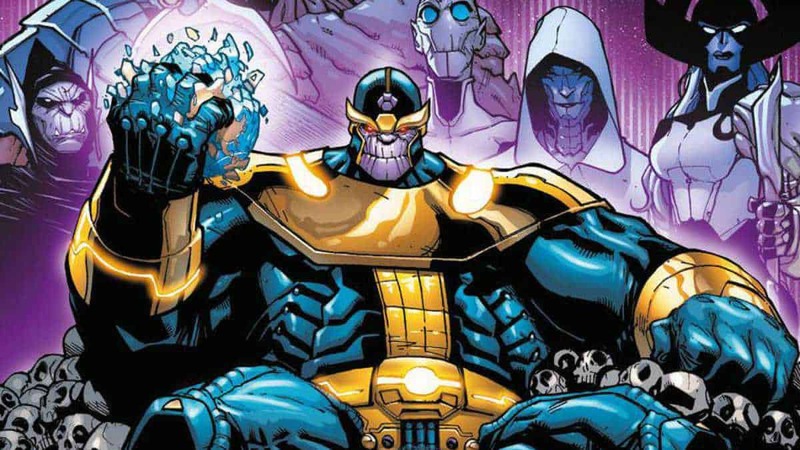 The one-man army was, as expected, a brutal awakening for the Avengers. Cable took out Captain America, Iron Man, and Falcon, before letting the techno-organic virus consume him completely against the Red Hulk. 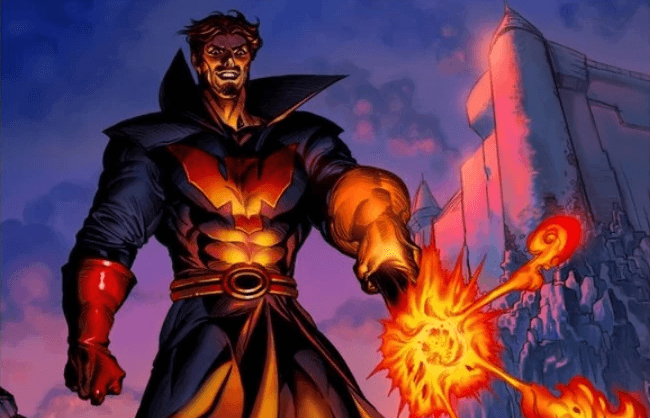 While he was still defeated in the end, his warpath helped to pave the way to the mega-crossover where the Avengers were pitted against the X-Men. As for Hope, she was saved and ironically raised by Cable to become a soldier for tomorrow. Despite his murderous intentions for the Avengers, Cable became a member of the same team a few years later (alongside Deadpool) to stop the Red Skull. He then left the mutant-friendly squad after the goal was achieved. Cable had a hard time coming to terms with the present modern age when he first returned from the future. There were external threats, which were in addition to his original goal of preventing Apocalypse from gaining power. Hence, he formed his own mercenary group called the Six Pack. They were notorious for undertaking difficult missions that other similar groups would shy away from, and also infamous for leaving behind a high body count as a calling card for a job well done. The final days for the Six Pack were not gracious. Cable was forced to shoot his own comrade after he surrendered vital information to the enemy before escaping alone through a time portal. The remaining members of the Six Pack, abandoned and without leadership, eventually went their own separate ways. They, however, did join forces once again down the line to hunt down Cable in revenge.